To my surprise, I was a bit tongue-tied when I first met Alex in front of Pushkin’s statue in Pushkin Square, Moscow on a Sunday afternoon. He was emitting aura which made me forget what I had prepared to say. What am I doing in Moscow? Unfortunately, it seemed like I couldn’t remember why I was there. This is embarrassing. I wanted to sound like a real journalist but apparently it was not working. I just wished I could fool him for the next two hours. The timing Alex appeared in my life couldn’t have been better. 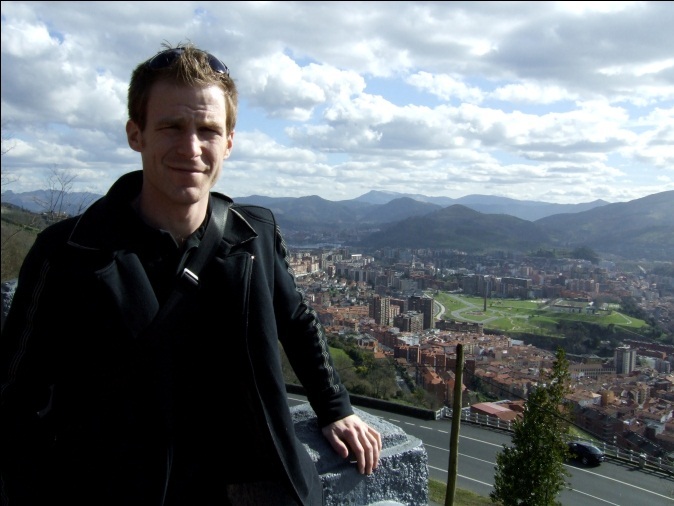 Six weeks before, during the Euroculture Intensive Programme (IP) in Bilbao, Spain, I was anxiously preparing to start an online magazine, The Euroculturer, in the MA Euroculture community. I was also looking for ways to bring alumni back to Euroculture. I heard Alex speak on Career Day and thought that his story could be a great example to many Euroculture students wishing to expand their horizons during their studies. What would be the best way to cover him? I wanted to find out something other than what he already presented on Career Day. Then I got an idea. After the IP, I contacted Alex to ask if I could meet him in Moscow. A few weeks later, in the middle of August, I found myself in Moscow, lost in Cyrillic but full of spirit. 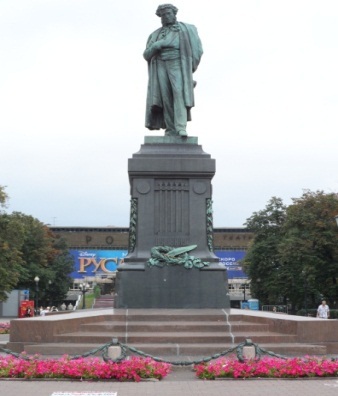 On the way to the restaurant from Pushkin square, as I relaxed a bit, Alex gave me a few details of his life. He studied English Literature and Creative Writing at the University of St. Andrews in Scotland. Scottish men wearing skirts came up in conversation and he told me that he also had a kilt. 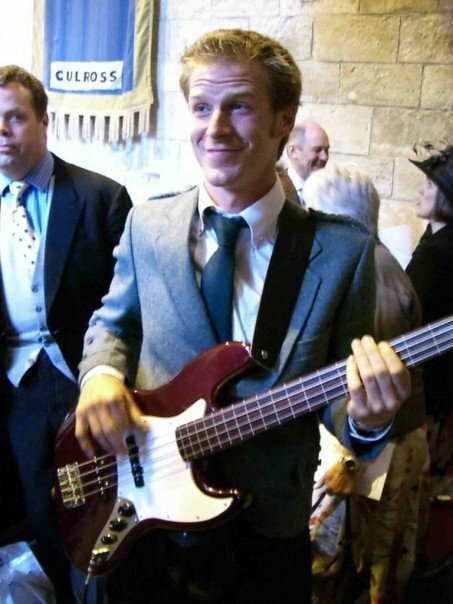 He wore it for various occasions but mainly in his ceilidh band, Achtung Ceilidh, where he played bass for a few years. He has played guitar for about 15 years and music has always been a big part of his life. Cool. At the restaurant, Alex ordered for both of us, my Russian not being so hot. I wondered how good his Russian was and he said it was functional to the extent that he could communicate with his Russian colleagues. When asked why he chose to work in Russia, he told me that he had worked in Moscow before he started the MA Euroculture programme. He hit it off with the city and that’s why he decided to come back when he got a job offer. I asked about his current job at BKC International House Moscow where he has a mouthful of a title: Executive Centre Assistant Director of Studies. The job is a healthy mix of teaching, management and training teachers. It’s the variety that makes it, he said. When the food arrived, I asked more questions about his Euroculture years. He started Euroculture in 2009 at Uppsala University. Outside of the classroom, he was hired as International Secretary of the Uppsala Association of International Affairs, helping to organise weekly public lectures. He joined the Erasmus Mundus Association (EMA) just before moving to the University of Deusto in Bilbao for the second semester. In the EMA he was selected as course representative for Euroculture and was given the chance to participate in the Madrid General Assembly and Communications Conference in Bordeaux. After joining EMA, he wrote regularly for their in-house magazine, EMANATE, and worked closely with the EMA communications team. The idea of his most recent project, Human[i]ties Perspective, was born out of this network, but also from a joint initiative of the EMA and OCEANS Network called Realise It. Our plates were almost empty when his research interests came up. While keeping himself busy with EMA activities, Alex found the topic of cultural diplomacy interesting. He wrote his IP paper on town twinning, a form of cultural cooperation between two cities, which he further developed in his Master’s thesis. He completed an internship with an EU-funded project, Monitors of Culture, hosted by the University of Deusto, on the role of cultural observatories in Europe in the future. Talking about Bilbao reminded me of his charity marathon which impressed me so much − Forrest Gump being one of my favourite movies – that he had spoken about on Career Day during the IP. Rather enthusiastically, I asked about his marathon and he told me the story in detail. Back in 2010, Alex and a friend of his, George, decided to raise money for charity by running the Bilbao Night Marathon. He’s a passionate runner so it was not intended only for charity, but also for fun. The marathon was a great success and they raised over 4,000 US$ for charity: to help build a well in northern Ethiopia. The support from his Euroculture colleagues, both financial and emotional, was amazing, he said. His charity work, highlighted by the marathon in Bilbao, was one of the reasons why Alex was selected as 2012 EMA Star. Other reasons include his dedication to the EMA communications team and his role in Human[i]ties Perspective, an annual two-day conference with which he has been actively involved since 2011. Before we parted, Alex said that Euroculture, which distinguishes itself from other Master’s programmes mostly by its mobility aspect, could also be a ‘platform’ for the wider world once you start to see how to get involved. I asked if joining the EMA was one of the critical moments of his life. The word ‘critical’ seemed to entertain him fairly but he soon admitted that it was pretty important because it widened his Euroculture experience and eventually brought Human[i]ties Perspective into his life, not to mention an amazing group of friends from all over the world. Cool, I thought and wished that more Euroculturers would take advantage of what EMA could offer. Then we both looked down at our watches. He had to interview some new staff at work shortly and I had no more questions left. It was time to go. Eunjin is from South Korea and studied Education for her BA. She began MA Euroculture in October 2011 in the University of Göttingen, later studied in the University of Strasbourg, did a research track in Uppsala University and currently finishing her MA thesis in Strasbourg. Her research interests lie in finding ways for diaspora groups to feel as ‘citizens at heart’ in host countries. Eunjin is a part-time realist and a full-time idealist.